This is the best gift you could ever give to your home. Your house always supports you and is there for you every day whether it is chilling cold, extreme hot or heavy rain. So the least you can do is to gift it a rug for the floor. 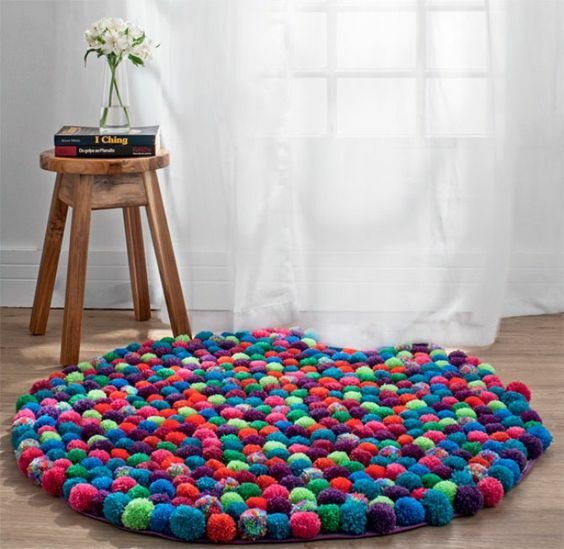 Pom Pom Rugs look extremely good for the floor and also it is not much expensive. It can be made very easily and with minimal cost. 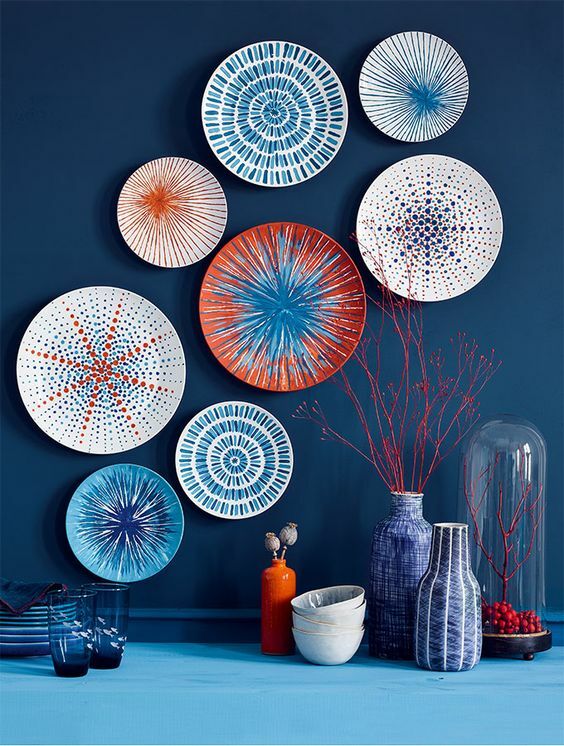 Hanging Plates are an interesting type of artwork which can be used for home decoration. They are usually found in shops and they can be collected over time. To hang them on the wall, use small size and thin hangers that can be attached to the back of the plates and that are basically invisible. But before you do that, try to find a design that you like to fix these plates by first placing the plates on the ground and trying different options. Even you can make your own DIY Hanging Plates, start making simple designs, it will really give a classy touch in your interiors!! 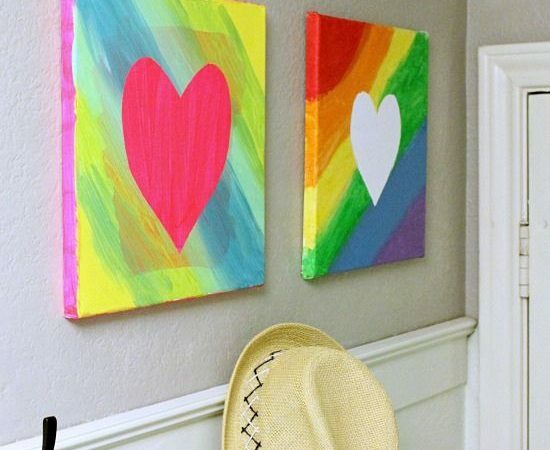 Making a canvas of patterns to display on a wall is quite easy. You can use a cardboard or, if you want to do something more artistic, you can freehand something. Let your talent be seen of the canvas. 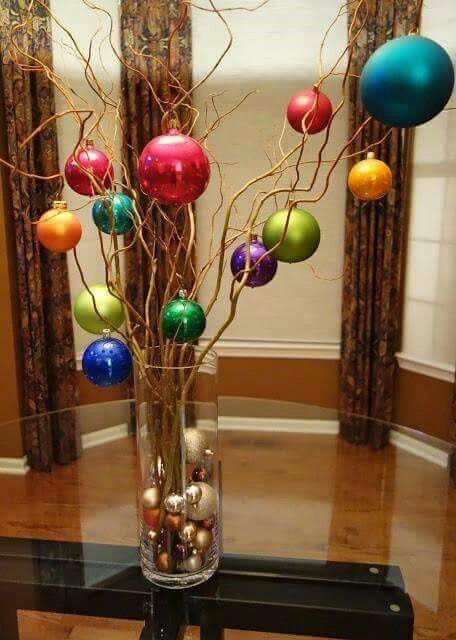 This can then be decorated anywhere in home where you think it might look nice. 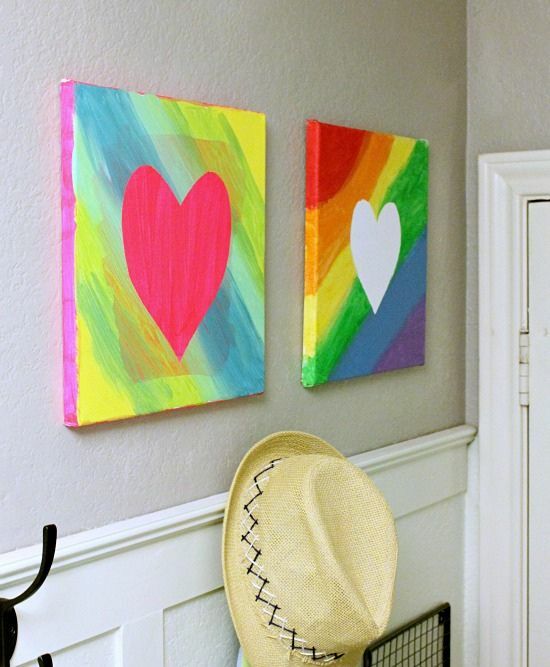 Another great way of adding some good looks to your home’s interior is to create your own art. By this, you will feel the room more personal and familiar. It can be anything you want, even some simple painting or sketch work on a piece of paper. If you want to add some freshness into your home and to bring a piece of nature inside the house, you can try for natural solutions. For example, you can recycle some wood to make a simple but beautiful decor piece for your room. It would provide a natural look and good character into your home style. If you have a small home then also it’s not a problem. It is more comfortable than most large rooms and there are many things you can do to create the impression of a larger space, such as using mirrors. 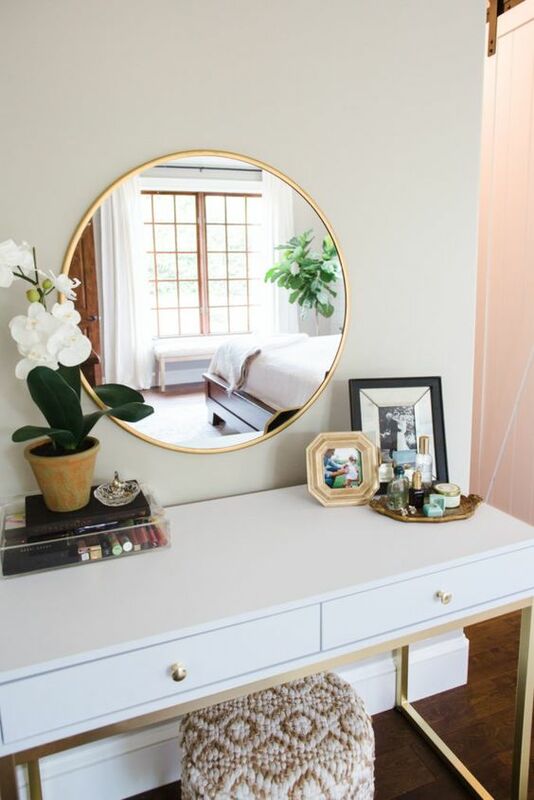 Mirrors are also not too much costly for decoration and their look allows them to be used in any room of the house and in almost any space. Color is a very easy & effective decoration tip for home interior, by using bold colours one can easily make their home attractive. To make the atmosphere of your home more attractive, use bold colors. Combine them and make new ideas, mix different shades and use different patterns and textures to make them look beautiful. Another Effective Decoration Tip is using ribbon to create designs. Ribbons are great for decorating a vase which can be kept in any room, office or even the kitchen. It is fun making it and also looks beautiful. And there are so many different ribbons to choose from and make different patterns and designs. Even ribbons can be used to decorate anything like walls, tables, photo frames etc. 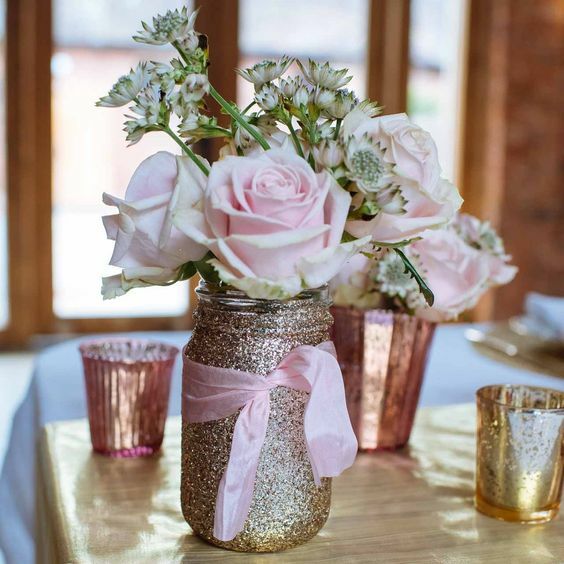 Here you can take more ideas to decorate your own DIY vases!! Hope you enjoyed reading Easy and Effective Decoration Tips! 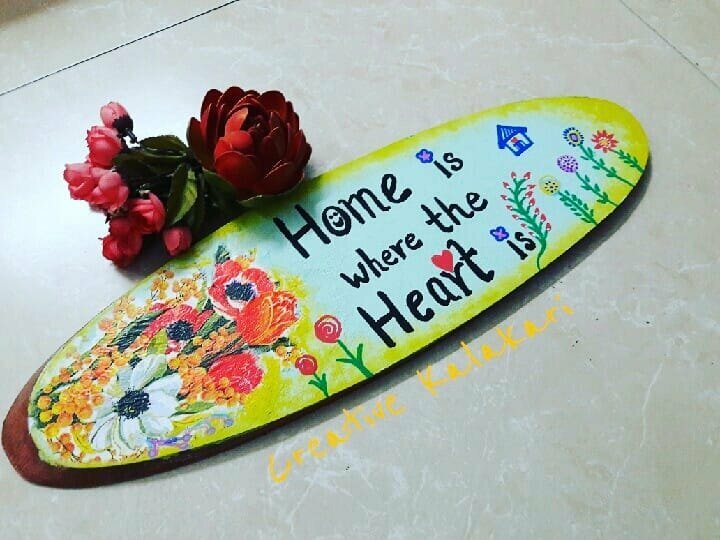 keep visiting www.creativekalakari.in for more décor trends, ideas and info!